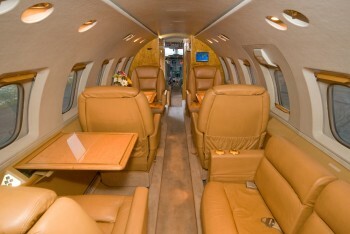 Studio Jet, Inc. DBA Sky500.com does not own, operate, maintain or charter its own aircraft. Studio Jet, Inc. DBA Sky500.com is not a direct or indirect air carrier or Part 135 operator. Sky500.com is an online travel service. Prices may be as low as first class fare, based on availability or shared pricing and are subject to change at anytime without notice. © Copyright 2004-2020. Studio Jet, Inc. DBA Sky500.com. All rights reserved. You must have an account to access this section. Please Click Here to create a FREE account. SIGN UP FOR A FREE ACCOUNT? Trips booked on SKY500.COM are not confirmed until the online booking process is complete and SKY500.COM confirms aircraft availability with you. The prices listing on this website are subject to change at anytime, until you book and the flight is confirmed by SKY500.COM. One-way charters are contingent upon the original trip going as scheduled. Payment is due upon SKY500.COM's confirmation of the flight and will be charged to your credit card at that time. Total price includes itinerary listed for the aircraft type selected, taxes, flight crew and airport/landing fees. Price does NOT include ramp fees, international fees, domestic handling fees, after-hours airport operations fees, expenses incurred due to ice or inclement weather (including, but not limited to, deicing, hangar, additional flight time, unforeseen fuel stops), catering, ground transportation, Flight phone, customer special request or itinerary changes. Aircraft type and tail # are subject to change at anytime. In the unlikely event that the contracted aircraft is not available to carry out the flight or is delayed due, but not limited to, mechanical or other difficulties, SKY500.COM can, at the client's request arrange an alternate flight, however, because the original flight was quoted at a special rate, the alternate flight may vary in price and any additional cost will be the responsibility of the listed party. Any repairs necessary, due, but not limited to interior or exterior damage, caused by the contracted passengers or occupants of the aircraft, will be the full responsibility of the contracted party listed below. All passengers are responsible for insuring that required travel visas, passports, and related travel documents are in their position for the duration of any flight. Passengers are required to present a valid photo ID prior to boarding the aircraft. As all aircraft have predetermined baggage limits, at the pilot and/or crew’s discretion, any baggage that can not be safely stowed on the aircraft, will have to be shipped to the final destination at the passengers’ expense. SKY500.COM does not own or operate its own aircraft and as an agent will be providing an aircraft from a network of approved licensed part 135 aircraft operators. Cancellation policy is as follows: A 100% cancellation fee will be immediately applicable upon booking flights on this website. Because the discounted flights on Sky500.com are part of an existing schedule, once you book, a non-refundable 100% cancellation fee will be applicable, so make sure you will definitely be going on the trip, prior to booking. If you need a cancelable private jet charter, you will need to book a retail round trip flight. These flights are typically cancelable, with a full refund, within 24-48 hours. By clicking below, you accept the charter terms listed herein and agree to pay the flight charter amounts that you confirm. Your flight has been accepted by an aircraft operator and you should be contacted soon by a Sky500.com Charter Coordinator to complete the reservation and booking process. This status indicates that your flight request is being reviewed. Sky500.com is re-confirming availability on the aircraft and flight that you requested. As all pricing and flights posted on Sky500.com are based on availability at the time of booking and are subject to change without notice. The aircraft or flight your requested is no longer available. As new trips are being posted regularly, please conduct another search to see if a new trip matches your request.